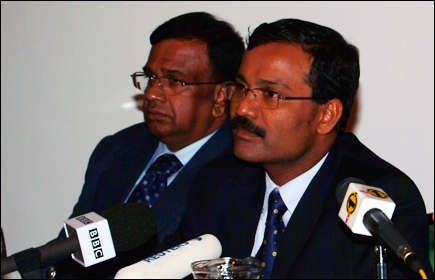 Liberation Tigers of Tamileelam (LTTE) leader V. Pirapaharan has appointed B. Nadesan as the new Political Head following the demise of Brigadier S.P. Thamilchelvan, according to Irasiah Ilanthiryan, LTTE's military spokesman. Mr Nadesan, who is currently in charge of Tamileelam Police, will be in charge of the two departments from now on, Ilanthirayan said. The LTTE spokesman described the aerial attack by the Sri Lanka Air Force on Thamilchelvan's residence, a cowardly assassination.